Here’s some random bits of information that don’t really warrent their own posts. I’ve finally finished moving house! (Yes, I am the only person who can take a month to move a few miles. Dear lord.) On Saturday, I hired a van and my very awesome (and single, ladies, if you’re interested) friend Ruffle drove it and helped me pack and unpack. Everything is in the garage, which is pretty useless when I need a mixing bowl at 10pm. I’ve had some tips for my aunts though about hiding stuff under the bed – brilliant! 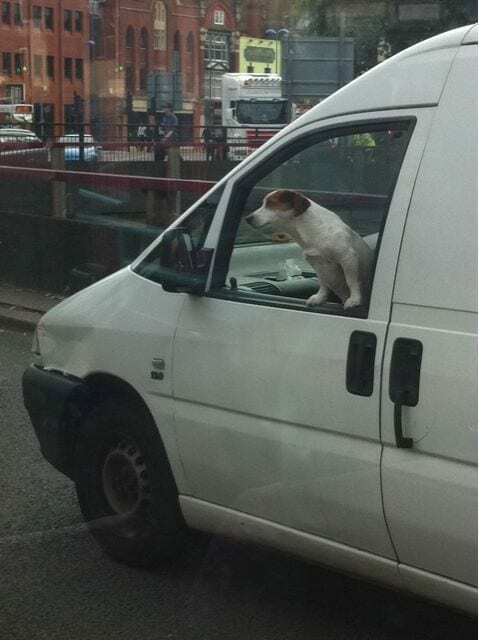 This van pulled up next to my bus at Old Market yesterday morning and the dog standing out the window made me laugh. He managed to stay like that as well when the van hurtled round the roundabout. Cute! The Girl, (who I’ve mentioned previously as a blog to read) has started a new blog, which can be found at Just Me. Go follow her because she’s ace. I’m so excited to be going to another Aussie Tribe Party, this time as a guest of Zoe who is a luscious long girly. Eee! I have no idea what to wear though – its fairy tale themed. New dress time on Friday after work I think! 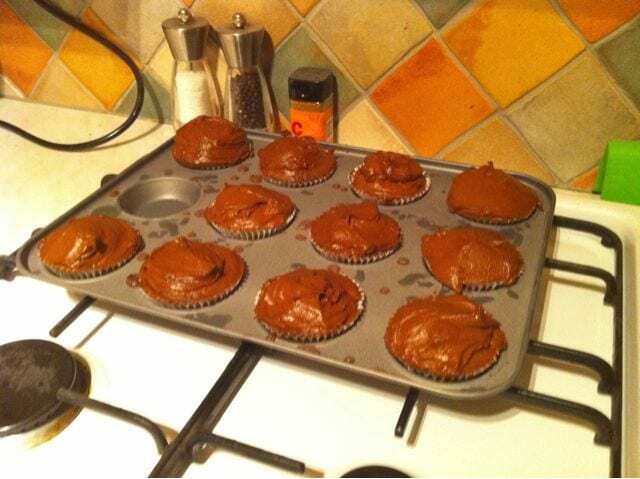 I baked some yummy chocolate cakes with chocolate icing for work, using the recipe from the Hummingbird Bakery (via Afeitar) which is why I needed a mixing bowl at 10pm! The Saturday after, we are heading to London again, for The Chap Olympiad. I’m looking forward to it, as Alex and I will be going with the Wife and the Lord. What what tally ho and all that. I need an outfit for that as well! Shame. I’m going to hop on the bandwagon, so if you love me (and you know you do ;)), click here and tell Cosmo why! I think my blog falls into the lifestyle genre mostly, but what do you think? 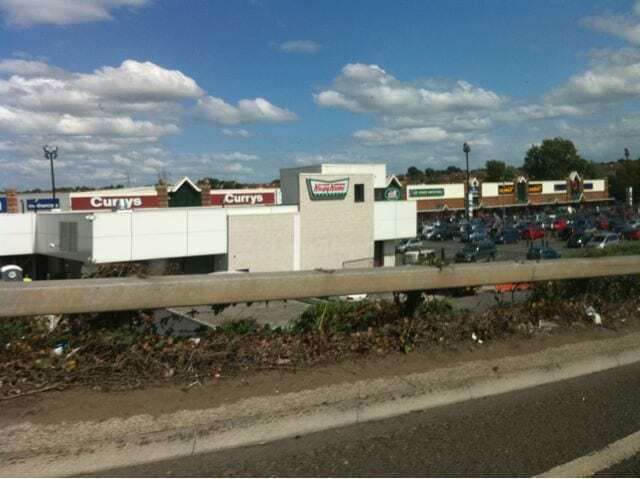 On Saturday, we passed the new Krispy Kreme location at Avonmeads. It has a FREAKING DRIVE THRU which makes me very excited. VERY. I wish we were lucky enough to get a box of free donuts. Sob. Soooooo, whats going on with you guyyyyyyyyz? Ahaaaaaa I hear you with the moving house malarkey. I’m still not properly moved out of the flat yet. Mainly because I don’t have a freakin’ car. So there’s stuff at my new place, stuff at my Mum’s, stuff at my Dad’s and stuff at the flat. I could so easily freak out right now. (And yes that is a Friends’ quote for those who are devotees of the show). Those chocolate cake things look too nice, damn me for not woking with you! Also Krispy Kreme drive thru? Say whaaaaaat? !